2016 Newsletter #3 - Big Bite Baits, Inc. If you have fished bass long enough you will know to get your fish on certain days you may have to slow down, grab a flipping stick and just go to work. This move may be related to a few different factors. One factor may be fishing pressure, another may be the weather conditions, and last may be just the makeup of the lake or the water source you are fishing. Bass will do one of two things when faced with a lot of fishing pressure, or cold front conditions; one is head towards deeper water or in many cases they will head towards cover most of time thick cover making flipping the best way to go in and get them. In this Big Bite News Letter we are going to talk flipping and pitching tactics. So sit back grab your favorite Big Bite flipping bait and let’s get to work. How you get to the bass will play an important part of how many you will get into the boat. If you let them know you are coming before you even get there I can guarantee you will not catch many bass that day, but if you think before you act you will put allot more odds in your favor. When approaching the cover fish the outside edge of that cover first looking for active bass that are working the edge looking for food. I many times will start working the outside edge of this cover with a BB Kicker rigged on a jig head to start my day. If the bass are active and feeding on top do not be afraid to throw a Spro Bronzeye Popper into the mix. Once it is time to head into the cover I will pull my trolling motor up and start to use a push poll to get me around in the heavy cover. On windy days I will play the wind to my advantage and let it push me through the cover. If I am moving too fast I will use my Minn Kota Talons to hold me in place so I can work the area before moving on. This is the same if I hook a fish or two, I will lock down with my Talons and work the whole area before I move onto the next area. If you elect to use your trolling motor you will many times let the bass know you are in the area the minute that your trolling motor prop hits that first lilly pad stem that something is coming. More times than not as you are going in one side of the cover they are dumping out the other side. So when you have to head into the cover take the steps to be stealth in your fishing and presentation. If you are flipping or pitching to cover like docks or reeds edges, use your trolling motor to position your boat away from these forms of cover. Making long pitches will be the best way to present your bait in these conditions. Today when it comes to picking a flipping stick you have a few different choices. In the past flipping sticks were 7’6″ as a primary choice but in today’s environment many fishermen are choosing flipping sticks lengths that are in the 7’10” to 8ft range. The added few inches help the angler set the hook faster when needed and give you a better feel of what your bait is doing. Reel speed is important when it comes to flipping and pitching, use reels with a speed of 6:3-1 or 7:3-1. The faster the reel speed, the faster you can get the bass out of the cover and coming your way, this also will translate into picking up your line faster and getting a better hook set. Line choice is one of the most critical options that you have to pick when it comes to flipping. Hands down if fishing in heavy cover or dirty water braided line should be your line of choice. My braided line choice is Sunline FX2 in 60 to 80lb. For the conditions that I fish 60lb is my line of choice. If you are fishing around cover in clear water conditions you will be better suited to pick a fluorocarbon line choice. My fluorocarbon line choice is Sunline’s new flipping line called Flipping FC. Match the line size to the conditions you are fishing when it comes to fluorocarbon 20lb to 25lb will do the job in most cases. Weights and hooks play an important part of flipping and picking the right combination of weights and hooks is vital to your success. Almost hands down you will want to peg your weight or use a screw lock weight option to keep the weight in place and next to the plastics you are fishing. I use a rubber bobber stop or a screw lock weight to get this accomplished. If you do not peg your weight the weight will have a tendency to separate from the plastics. An example of this would be if you were flipping into matted cover and using an unpegged weight, the weight could fall through the mat leaving the plastics up on top of the mat. When the weight is pegged that cannot happen the two will always stay together. 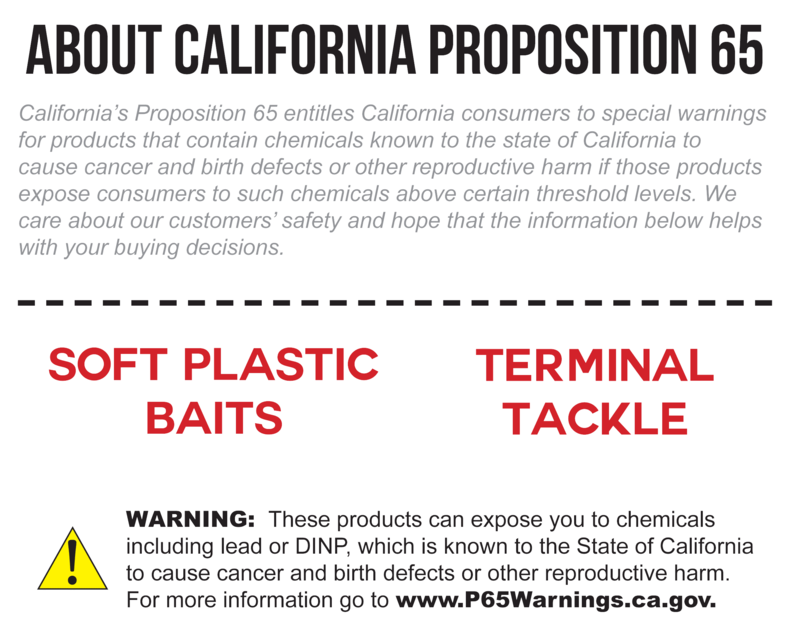 In the last few years there has been a big push to use straight shanked flipping hooks with plastics keepers. These type hooks at this time are the best of flipping option to use. Tie the hook on with a snell knot, this will cause the hook point (if tied facing in the right direction) to go up and into the top of the bass month every time giving you a solid hook set every time. The best way to tell if your flipping hook is tied on right, hold on to your weight and slowly pull on the line if your flipping hook is tied right the hook point will come up point up and into the top of the bass mouth. If it goes the wrong way cut off and retie the hook the opposite way. Gamakatsu Heavy Cover hook is my hook of choice for flipping. 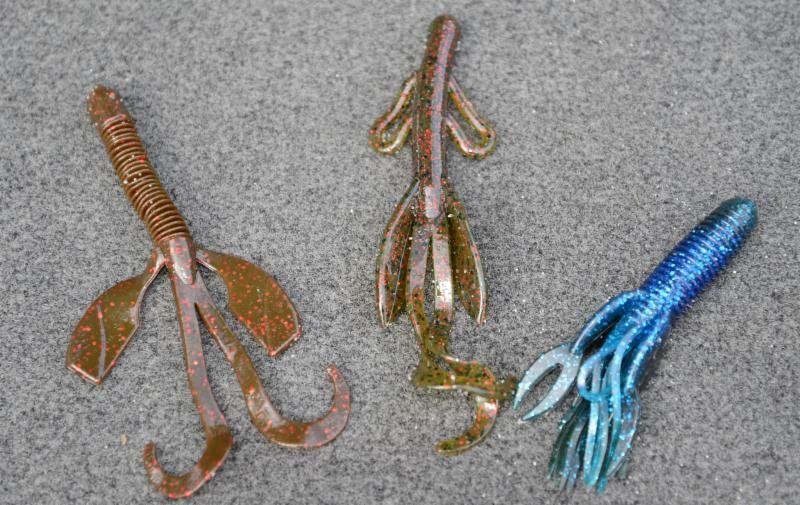 When it comes to size I match the hook size to the size plastic I am using, 4/0 and 5/0 are the most common two sizes that I use. Now that we have laid the ground work with boat positioning and equipment let’s get down to the nuts and bolts of flipping. When you look at the Big Bite line up there are many baits that you can use but I am going to use 6 baits as examples for this News Letter. I am breaking these baits into two groups, dirty water and clear water bait options. When fishing in dirty water conditions I will opt to use Big Bites Brush Hog, Kriet Creature and Craw Tube as my baits of choice. One of the biggest reasons for this choice is these baits come with extra appendages which give off more vibration when fished. This will help the bass track down the bait in cover or in dirty water conditions. Remember if the bass cannot find the bait they cannot bite it. Adjust your weight to the conditions that you are fishing. I will generally start with a 3/8oz to 1/2oz sinker. There are two things that you have to consider when picking your weight, there will be days that the bass will want the bait on a slow drop, then there will be days when they will want the bait on a fast drop. It will be up to you to determine what they want that day of fishing. When fishing in matted weeds or in heavy cover you will have to up your weight just to get the bait down through the matted cover to get below. Once again this may be an adjustment from 3/4oz to 1oz. 3/4oz will get through the mat and will have a slower fall than a 1oz weight. At times if the cover is thick or the water is dirty I will look at adding a rattle to the mix to help the bass find the bait. For clear water situations there are a few things that I will do different. One, I will not always peg my weight. If I am fishing edges of reeds or maybe docks I may leave my weight un-pegged. When fishing in clear water conditions I will go to a pitching presentation more to stay back from the cover that I am fishing. I feel I spook less bass this way instead of getting on top of the bass like I would if I was fishing in heavy cover. My Big Bite Bait choices for clear water conditions are YoMama, Rojas Fighting Frog, and a Tube. 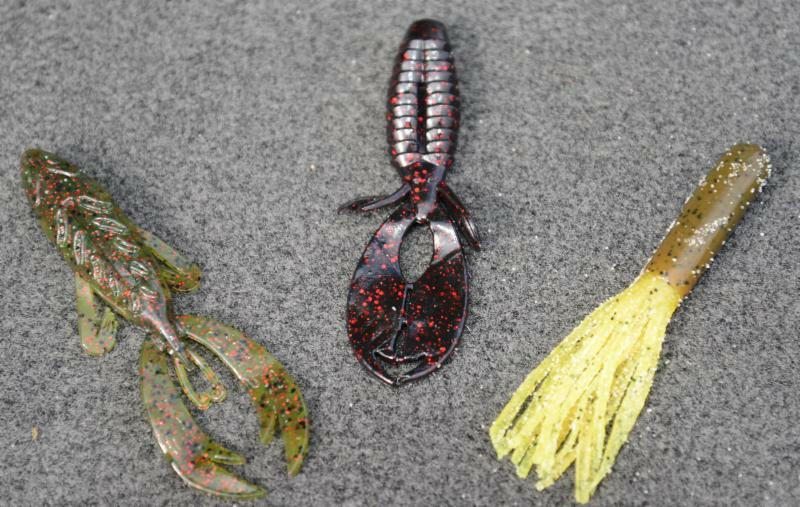 These three baits give me a great base of baits to use during clear water conditions. Yes if I feel I need a little more movement out of my bait I can pull from the other group, but coming out of the gate these are my first choices. When flipping and pitching in clear water conditions do not be afraid to mix it up a little the bass will get a better look at the bait then they will in heavy cover or dirty water conditions.